What makes a good blog entry? An interesting subject? Controversial subject matter? A radical viewpoint? 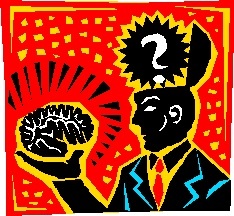 Or is it just witnessing the powerful influence a blog can exert? 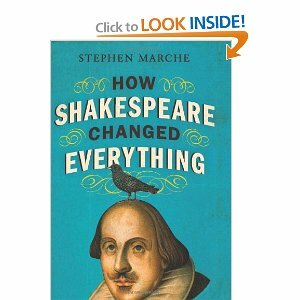 In preparing a blog entry in response to How Shakespeare Changed Everything, by Stephen Marche I found a series of fascinating blog entries in response to an online review that appeared to be almost as long as and more interesting than the book itself! I have rarely seen such an entertaining series of exchanges. Many of those responding, immediately accepted the reviewer’s opinion that the book was shallow, indulged in generalizations and was poorly written. Many appreciated the reviewer saving them the trouble of reading it and immediately put it to the bottom of their “To read” pile. Wow that is wielding some power!!! Others said they enjoyed reading the review, which I have to admit was entertaining and those that had read the book for themselves enjoyed sharing bits that they hated too. Poor Stephen Marche! However there is no such thing as bad publicity and reading a bad review can in fact makes the book itself irresistible! After having had his book torn apart online, I felt a bit sorry for Stephen Marche and considered that it would be a disservice not to at least read some of the book and I also found other reviews that offered a more balanced perspective. But I am left wondering how many people are now using book blogs to shape their reading choices and do those writing them realize the power they wield? Carol Kelly is the Festivals and Workshops Coordinator of the Folger Education Division. I attended a conference in New York recently on teaching Shakespeare where teachers reported on the outcomes of using performance-based teaching techniques with their students. They reported that students made pretty significant academic gains based on the work they were doing in class. However, the teachers also reported that the teachers their students had the following year did not use the same methods and, as a result, the students became rebellious. The students were bored and not engaged in their learning in the same way they were the previous year. The students were cautioned by their former teachers to remain calm and not be disrespectful toward their current teachers. This advice upset me, and I mentioned it to a colleague who attended the conference with me. He agreed with the advice the teachers gave to their former students. He cited the need for students not to be disrespectful. I think he’s wrong. It’s not disrespectful for students to tell teachers that they want to be engaged in their learning, and performance-based teaching engages students in ways that non-performance based teaching does not. I’m not advocating that students should turn over desks and chairs in their classrooms, but they should be encouraged to talk with their teachers and express their disappointment about the way instruction is being delivered in their classroom. What do you think? Reading Shakespeare Makes You Smarter? While the article starts off by giving several reasons why we are still enthralled with Shakespeare’s work in the 21st century, the latter bit drums up some interesting questions about cognitive development and how studying Shakespeare affects the brain. I know students (very young in fact)who certainly feel smarter or their intelligence challenged and validated by studying Shakespeare. Could this be the start of actually quantifying the impact? Does reading Shakespeare make you smarter? 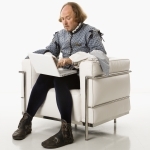 We are definitely not the only Shakespeare-related blog on the internet. Far from it! Here are some of our favorite people to follow for Shakespeare discussions, news, ideas, and insights. Shakespeare Geek – the self-titled Geek asks insightful questions and posits interesting ideas for Shakespeare enthusiasts to discuss and consider. Bardfilm – KJ collects Shakespeare-related film clips, books, and related items to show how the Bard has influenced our entertainment culture. Shake & Tumble – a delightful little tumblr account of paintings, quotes, and gifs related to Shakespeare in performance and art. Drown My Books – shameless self-promoter, Caitlin Griffin, keeps a blog of Shakespeare book and movie adaptations as she finds them. We’re well into the summer now (happy Fourth of July! ), and it seems that lounging outside on a beautiful day with a good book is the best way to spend the time. I agree. If you happen to be reading this, though please share if you’re summer reading list includes any books or novels which deal with some Shakespeare! 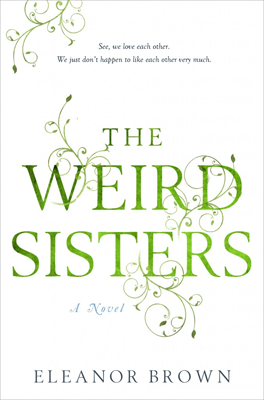 The Weird Sisters, by Eleanor Brown – the three Andreas sisters were raised in a sleepy college town in the middle of nowhere. Their father who prefers to speak in Bard quotations, and even named them after Shakespeare’s heroines: Rosalind, Bianca, and Cordelia. After growing their separate ways for years, they have to return home and deal with their personal failings and each other’s, for they inherited their namesakes’ weaker qualities even with their strengths. The Wednesday Wars, by Gary D. Schmidt – this YA novel follows middleschool student Holling Hoodhood, the only Presbyterian in a town dominated by Catholics and Jews in Long Island. Every Wednesday afternoon, every other member in Holling’s class leaves school to attend religious study – leaving Holling alone with Mrs. Baker (who hates his guts). Over the course of the novel, Mrs. Baker teaches Holling to apply Shakespeare’s words to his own life, and gain wisdom from his experience.